Would you like to have a go at the edit.tf editor, but are still finding your way around teletext? Here are some ready-made templates to ease you in. 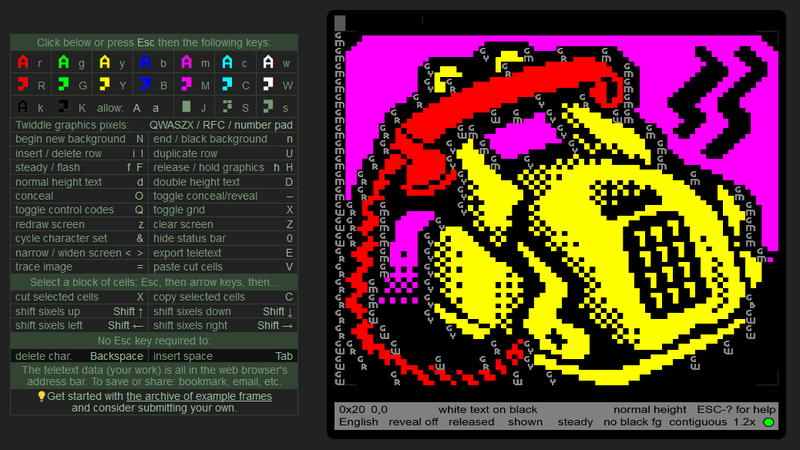 Select the combination of colours you would like, then use the mouse to draw on the teletext canvas.